Between the Blue Ridge Parkway and the Yadkin River is Surry County – one of the Piedmont’s most exciting counties. Two cities frame Surry County, Mount Airy to the east and Elkin to the west. In the foothills of the Blue Ridge, Surry County abounds in natural beauty from its’ forests, streams, and soothing scenery to its’ river systems. The Fisher River, the Ararat River, and the pristine Mitchell River all flow through Surry County. 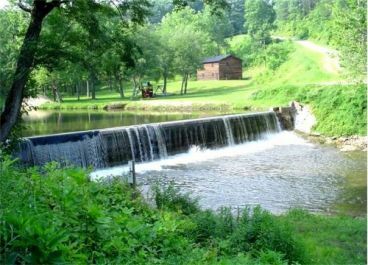 There is a plethora of recreational opportunities in Surry County – ranging from water activities on the rivers to hiking in Pilot Mountain State Park to camping, picnicking, or horseback riding. Surry County offers a quality of life in a rural environment while at the same time, provides easy commute employment opportunities in the nearby Triad. If you’re interested in Surry county and you are looking for a recreational /hobby farm, a home with acreage, a rural land tract to build your dream home, or a great home in one of Surry’s small towns, call Carolina Farms & Homes. Listing and selling rural properties like these is our specialty and niche. Give us a call.